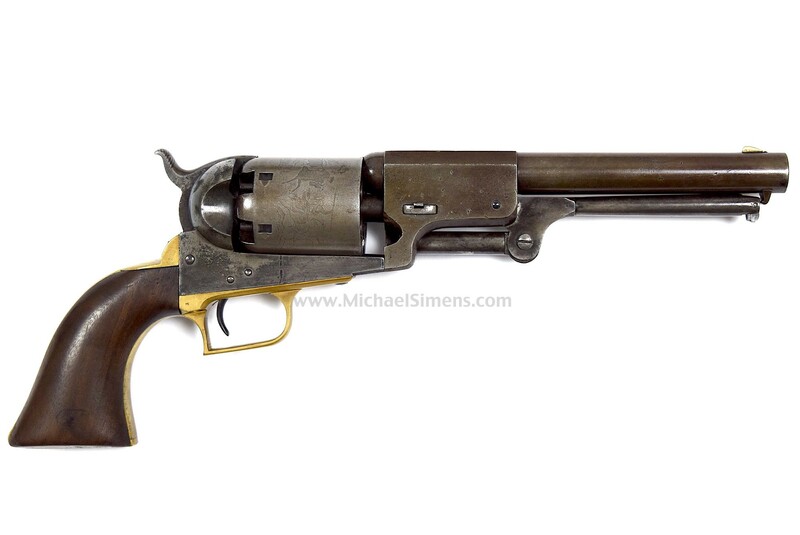 This civilian Colt 3rd model Dragoon Revolver was manufactured in 1856. 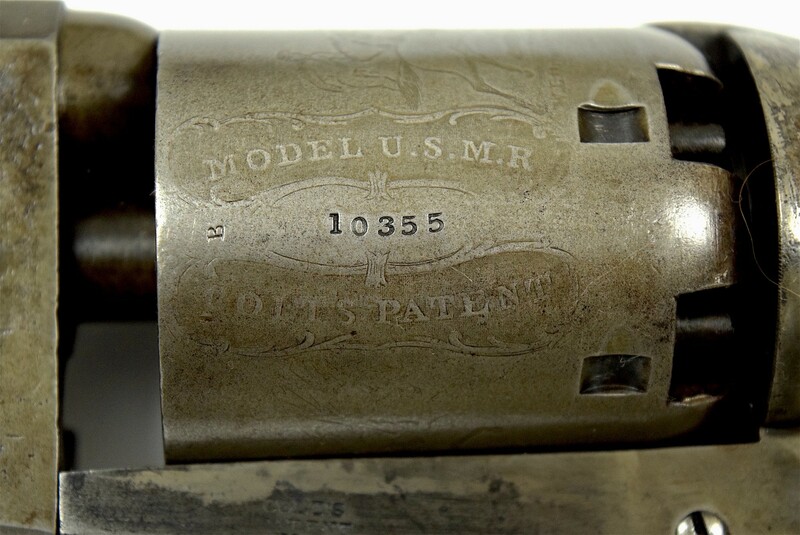 The top of the barrel flat is marked "-ADDRESS SAML COLT NEW YORK CITY-" and the left side of the frame is marked "COLTS/PATENT". The matching serial number is found on the barrel lug, frame, cylinder, trigger guard and back strap. 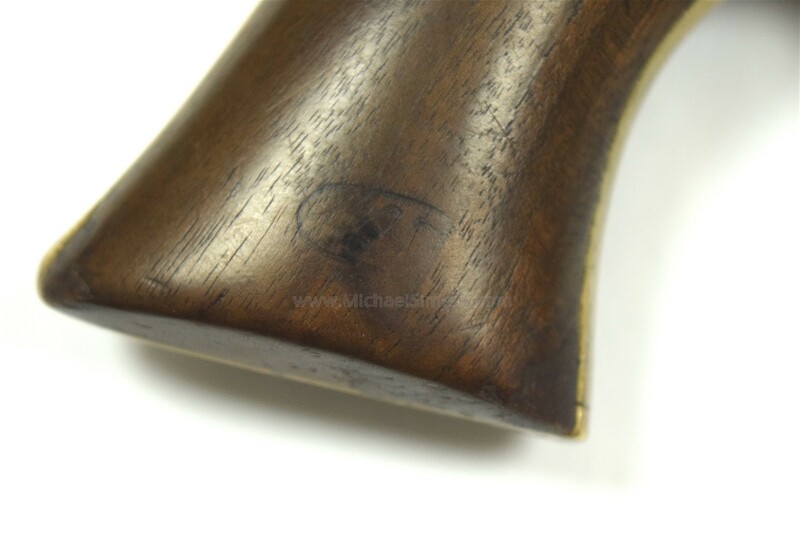 The cylinder pin and loading lever are marked with the partial serial number "5626" and the wedge is mis-matched. 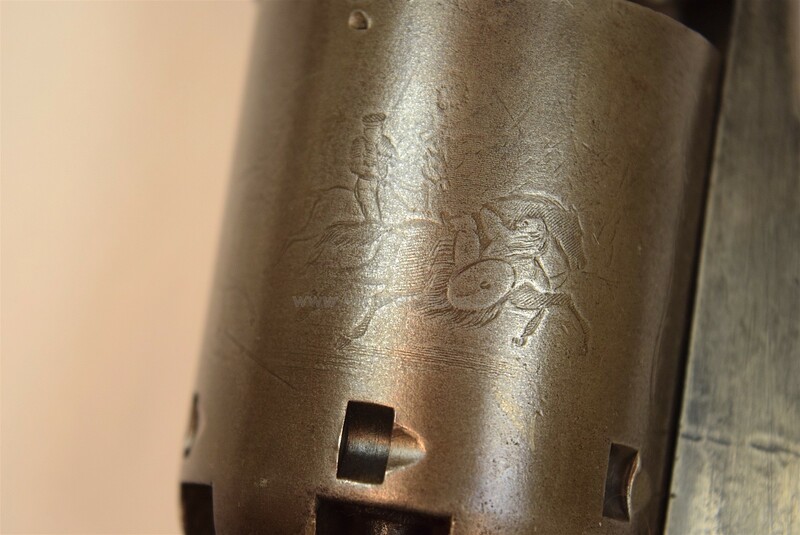 The cylinder has the Ranger and Indian battle scene and marked "MODEL U.S.M.R./COLT'S PATENT". 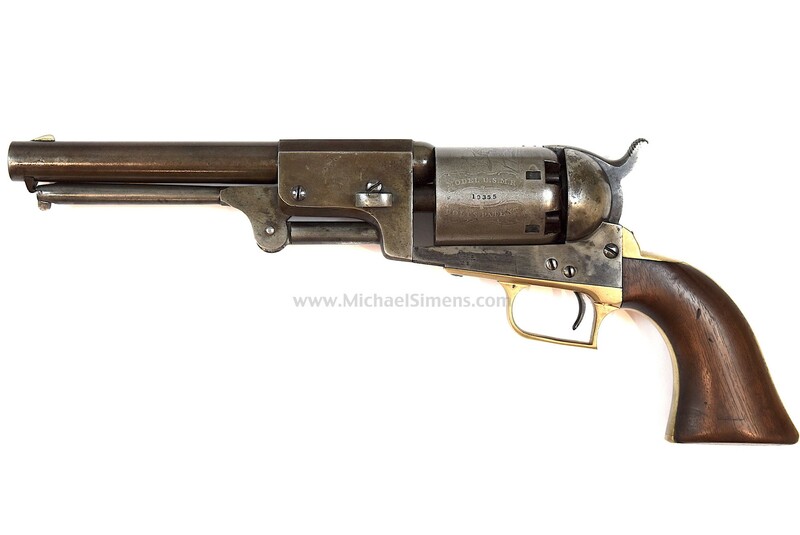 This revolver could have been used by soldier fighting on either side of the Civil War as a privately owned sidearm or have been used out West. 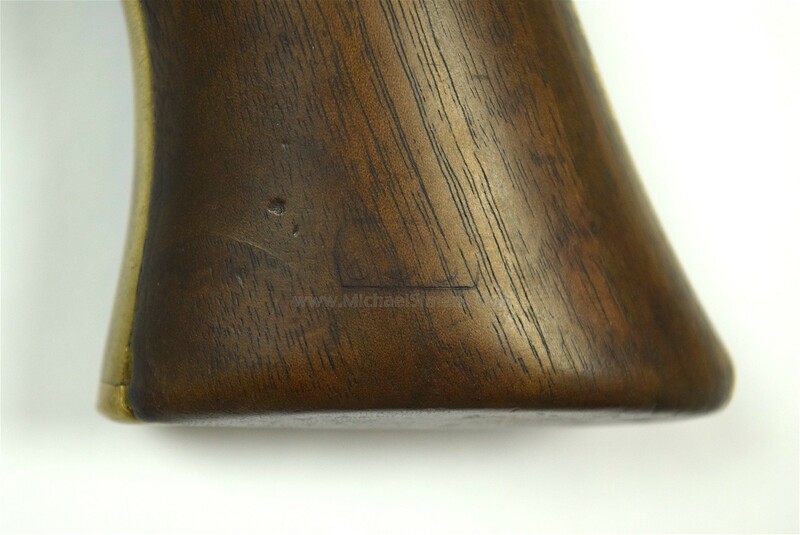 The metal surfaces have a gray patina with some minor roughness on the barrel, as well as some minor flash roughness on the rear of the barrel and front edge of the cylinder. The brass has a very attractive natural aged patina. The grip is also very good with some wear and nicks on the lower edges, and overall some minor dents, dings and scratches, but very full and in very sound condition. The barrel and frame markings are crisp and clear. The cylinder scene is very fine with all characters visible. The action is fine.